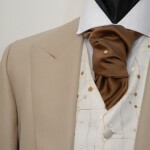 Suits by Garry Andrew is a formal wedding suit hire Swindon specialist. Suits by Garry Andrew is a formal wedding suit hire specialist established in Swindon in 1996 with the aim of providing an alternative choice to the traditional, ‘boring’ image of gents formalwear. 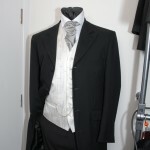 Formal menswear hire, wedding suit hire swindon, suits, jackets, waistcoats, neckwear and trousers. 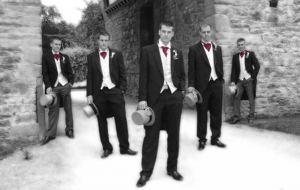 Located in the centre of Swindon we have established a wide and colourful variety of mens wedding suit hire for the discerning Groom to look every bit as smart as the Bride on his wedding day. Whether your choice is the classic traditional tailcoat or a flamboyant rossini jacquard scroll frockcoat, you are sure to find a style and colour to suit you and complement the remainder of the bridal party. Being an Independent mens specialist and not part of a national chain outlet, you will also find a wide variety of different waistcoats and neckwear to choose from, to co-ordinate with your chosen jacket. With the Groom being equally as important as the Bride, we place great emphasis on the groom being a touch different and standing out slightly from the other members of the gents party. Therefore, with this in mind all of the stock is self-contained ‘on-site’ so that the Groom can try a variety of styles and colour combinations before he orders. In so doing, he can order with 100% confidence and peace of mind that he is making the correct choice for himself and the other gents. With the utmost emphasis being placed on advice and the highest level of professional service, fittings are undertaken with the suit being worn and measured exactly, therefore leaving nothing to chance, hence exacting a thoroughness that befits the importance of the occasion. 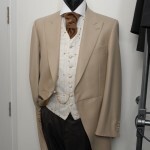 Finally, not forgetting the pageboys, they are also accommodated with the tailcoats and rossini frockcoats from 18 months upwards as well as a range of co-ordinating waistcoats and cravats. 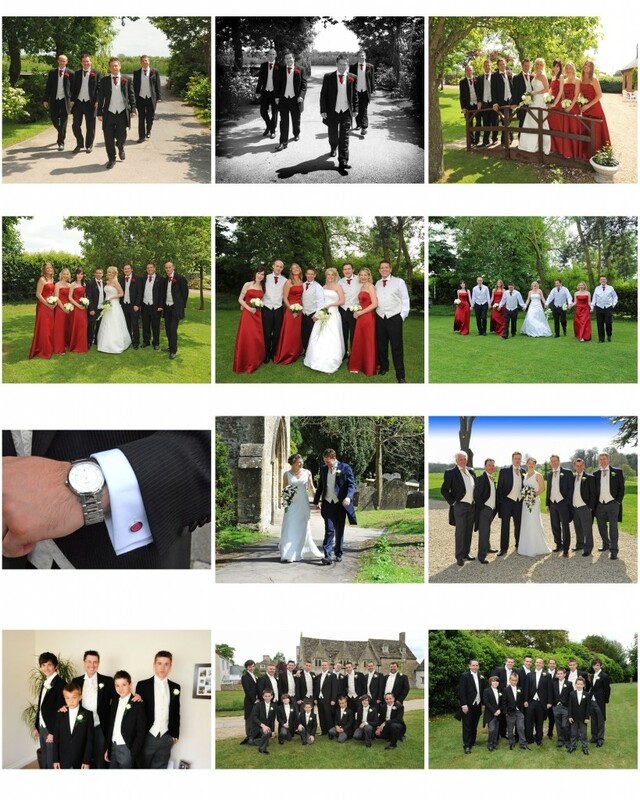 Whatever your requirements may be, for formal mens wedding suit hire Swindon, a civil wedding, a cruise ship wedding or a dinner suit for a formal evening function, you will appreciate the professionalism, the highest level of service and attention to detail that is offered. 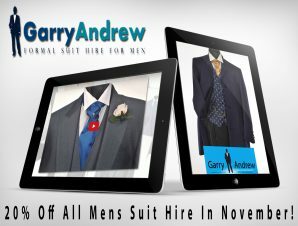 Making Suits by Garry Andrew, your wedding suit hire Swindon specialist, well worth a visit right here in the centre of Swindon.